Owning an authentic Oriental rug is like having a beautiful home.Regular maintenance is beneficial and necessary to preserve its beauty and value. Who will you trust in Roseville to successfully clean your Oriental and custom rugs? Servicing an authentic Oriental rug is a difficult problem for commonplace carpet cleaners with minimal training. Natural carpet dyes made from plants and minerals may bleed when wet. Hot water cleaning treatments, the norm for synthetic carpets, can quickly destroy natural fibers. You need a trained professional to handle your heirloom! Artistic Associates uses more than forty years of experience to restore Oriental rugs to their original condition. Add that lengthy and successful record of customer satisfaction to our full certification from the Institute for Inspection, Cleaning and Restoration as qualified Oriental rug experts. This combination of practical knowledge and applied science is essential if you want a rug that lasts as long as your home. Real wool, silk and traditional Oriental rugs are best treated in our customized facilities. Owning this family shop enables Artistic Associates to safely examine carpet dyes for fastness and individual fibers for material content before starting a comprehensive cleaning. You can rest assured that your rug will stay in our caring hands every step of the way, not with an unknown subcontractor. Heirloom Oriental rugs require time-tested procedures for restoration and preservation. Artistic Associates uses our own eight-step process for cleaning every custom-made rug. Cumulative experience means we can successfully repair moth and beetle damage, food stains, waterseepage and even soiling and odor from pet urine. Artistic Associates also applies fiber protectants and creates underlayments that preserve your fine custom rugs. Take our careful process, certified technicians and secure, private facilities and add to that our being fully bonded and insured and you can be confident that your Oriental rugs will return in pristine condition. 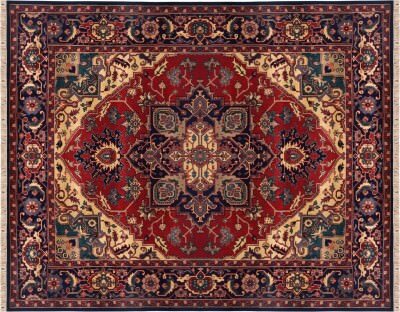 Contact the Oriental rug cleaning service that Roseville can trust! Review our experience, training, facilities and procedures to see that the maintenance and repair of Oriental rugs is best left to us. Experience the skill and integrity of Artistic Associates! Our clients in Roseville, California call us at 916.483.7400.